Diluted and used as a spray or in a backrubber, the powerful active ingredient in Prolate/Lintox-HD™ Insecticidal Spray & Backrubber kills a variety of insects on contact. 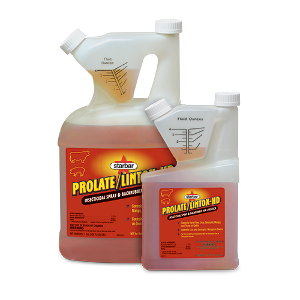 Prolate/Lintox-HD™ Insecticidal Spray & Backrubber can be used for treatment of horn flies on non-lactating cattle or for lice and sarcoptic mange mites on swine. It also kills ticks.